touch is continuously endeavoring to uphold the telecommunications sector in Lebanon through its unique initiatives and projects. 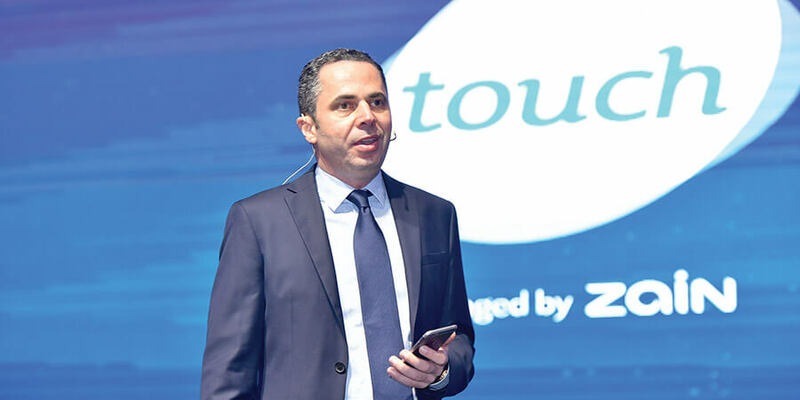 Telecom Review managed to get an interview with Emre Gurkan, CEO, touch to highlight some of the operator's recent projects and the CEO's perspective on some industry trends in the Lebanese context. touch's support for startups is remarkable. In your opinion, what makes a successful startup? How do you choose the ones that you want to support? To begin with is the idea: Is it original? What differentiates you from your competitors? In order to make a huge change within an industry, the idea, product or service must be so useful that the majority of the targeted customers will proactively switch to this far superior solution. If the product has the potential to make a fundamental technological or economic difference to potential customers, then you're on to something. Secondly, teamwork and synergy are the foundation that will help grow your startup and initiate its journey. Ideas can be fleeting. Execution is where the real value lies in the world of business, and if the team doesn't show investors-right away-that they can execute on the grand vision, the idea stands a lesser chance of success. The team behind the startup should be able to commit, navigate inevitable challenges and pivots, and visualize their idea all the way through to market realization. Third is timing. Timing is crucial to a successful startup. You must make sure that your potential customers are ready to use your product - otherwise it may be just like the others, without differentiation, and limited added value. Lastly, you will need a good and detailed business plan if you're seeking to tackle an idea that requires investor funding. From an investor perspective, they're looking years ahead, evaluating whether they're likely to receive a healthy return on their initial investment. This means they need the startup to either go public through an IPO (not very common) or be acquired by a company that sees value in the business. At touch we recently launched the ‘touch Innovation Program' (TIP) in support of startups becoming successful. Throughout the program, applicants are narrowed down to just six startups every six months that receive training, mentorship, access to workshops, and B2B matchmaking and meetups, as well as exposure and visibility to increase awareness of the product/service. These startups are selected based on their product relevance for touch. On a national scale, touch will serve as a strategic partner for startups invested in by MIC Ventures, a telco investment fund supported through the vision of His Excellency, Prime Minister Saad Hariri, in coordination with His Excellency, Minister of Telecommunications Jamal Jarrah. MIC Ventures is set to raise a pool of funds and collaborate with experts from the mobile operators in Lebanon to invest in early and mid-stage technology startups, while focusing on ICT startups and other knowledge-based sectors. The network operator will then identify and assess project deliverables and innovative breakthrough technologies, meant to offset the decreasing revenues from traditional voice and data services. touch will further provide these entrepreneurs with an incubator working space, logistics, and technical support. The Ministry of Telecommunications launched a FTTH project in Lebanon. What role does touch play in this innovation? During the strategic planning for this investment, touch expressed the importance of fiber optic transmission for mobile operators that are evolving to 4G and 5G technologies. This outlook was shared by the MoT, and the FTTH project is set to ensure the availability of fiber connectivity for each site located on rooftop buildings. This will improve the backhaul speed and latency of transmission significantly. Such enhancement streamlines the implementation of advanced site coordination features, cloud baseband solutions, and distributed architecture. In your opinion, is Lebanon ready for 5G deployment, notably in terms of infrastructure? The deployment of 5G technology will be a gradual process based on the emergence of services requiring capabilities that can't be delivered over 4G. 5G will help absorb traffic surges for massive data demand, and touch's strategy involves preparing core sites for this switch by moving progressively toward a cloud distributed architecture. Similarly, fiber optic implementation will pave the way for 5G small cells with cloud Baseband Unit (BBU). 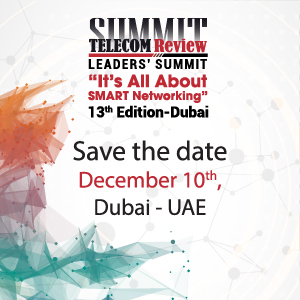 This will make the infrastructure ready for 5G ahead of 2020, though the question remains when will 5G advanced smart services start being demanded in the region? Lebanon is not currently ready for 5G deployment, though we need to begin preparing for it now however, fiber readiness and coverage are key in the future deployment of 5G. In our five-year plan we defined the touch 5G journey as one of the company's main strategic pillars. This journey is divided into three distinct phases starting with spectrum preparation, followed by network preparation, and finally by business preparation. In terms of spectrum, we need to re-farm more bands to LTE (1800 MHz) and reserve space on C-band to start with the non-standalone release of 5G where LTE becomes an anchor for the technology. We'll then need to undertake architecture evolution in terms of spectrum cloudification, power cloudification and channel cloudification. This will pave the way for business preparation in terms of NB-IoT and WTTx for quick win of Home Broadband (BB) Business. touch partnered with Vinli in 2016 to launch connected cars in Lebanon. Do you plan on launching new IoT solutions? IoT links objects within an active network to facilitate data management and collection. 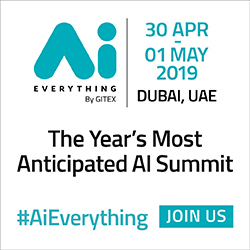 Using communication protocols to establish a global network, IoT leverages sensors, mobile devices, and Internet connectivity to boost interactions and obtain data points between physical and non-physical objects. This is where the role of the operator comes to the fore. Accordingly, touch will partner with different solution providers to capitalize on our infrastructure to provide tailored consumer applications (targeting smart building/cities, automotive, health/medical, home automation, and other use cases) and wide-area IoT solutions based on M2M communication. A significant portion of operational costs incurred by telcos is for remote infrastructure, and IoT will better support reducing this cost by having applications and solutions in place to monitor remotely and manage assets and applications, thus avoiding unnecessary on-site visits for general management purposes. In your opinion, how does a telecom operator contribute to the establishment of a smart city? A smart city uses digital technologies to enhance the quality and performance of urban services, reduce costs and resource consumption, and assists city authorities to engage more actively with citizens. By effectively leveraging telecommunications technologies, smart cities can connect various "things" (e.g., sensors, devices, analytics tools, etc.) to each other, either directly or via the Internet. The foundation of any smart city is modern smart infrastructure that is composed of devices that are connected through telecom networks to data repositories. This data is leveraged by various systems and platforms to make decisions and initiate activities, and to address the needs of users. touch is very active on social media platforms. Does that come under your digital strategy? How important is it nowadays to have an active presence on such platforms? A strong presence on social media is not merely an option, it is a necessity for brands today. Social media has become the ultimate go-to source for customers to connect with brands, discover new product offers, find a solution to their issues or simply learn more about the brand's role in the community. As a result, our social media presence falls under our digital strategy as we make it a priority to always find ways to connect with the public, making sure every complaint or question is heard and monitored to create more positive customer experiences. What are your hopes for the future of the telecoms sector in Lebanon?